Sovaldi was originally priced at $36,000 - Why do Hepatitis C patient have to pay more than $80,000 for it? 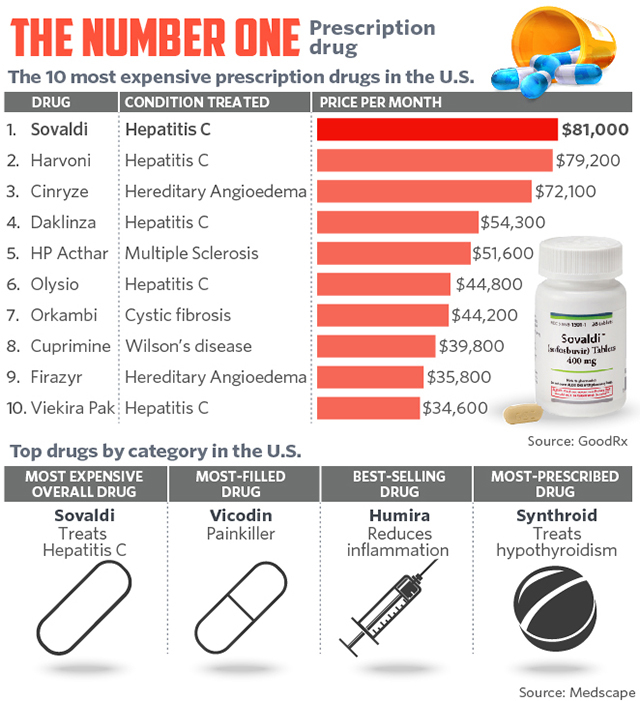 By now pretty much everybody knows which common disease will your wallet hate the most: Hepatitis C.
Let us look at a list of the most expensive drugs in the US. There are top 10 on the list; can you guess how many of them are Hepatitis C treatments? We will explain an extraordinary story why all of these Hepatitis C drugs found their way on the list. In 2011, the highest expected price point for Hepatitis C cure was $36,000. Now patients are paying more than $80,000 for the privilege. What happened? The real prices of the most expensive drugs in the US. As you can see in this summary by Medscape, 5 out of 10 most expensive drugs in the US are Hepatitis C treatments. Gilead Sciences takes the 1st and the 2nd price with their extremely highly priced sofosbuvir-based treatments Sovaldi and Harvoni. Sovaldi and Harvoni are marketed by a pharmaceutical giant Gilead Sciences. They were the ones who got the market authorisation approval by the FDA in December, 2013, and launched Sovaldi - the first all-oral Hepatitis C cure. Without a doubt, the first effective Hepatitis C cure was a game changer. It didn't only change how we perceived Hepatitis C but how we see pharmaceutical industry as a whole. The reason? Just look at the current Sovaldi price point - above $80,000 per a single treatment. Pharmaceutical companies often try to justify high costs of drugs because of all the research and development that went into finding the innovative new drugs. Admittedly, R&D costs are high and rising, but Gilead Sciences was a bit shy to use R&D costs and innovation as an excuse for the extreme pricing of Sovaldi. Why? The reason is because Gilead Scienced didn't do all the R&D job themselves; they didn't even do the majority of it. The necessary R&D was done by Pharmasset, a pharmaceutical company that was bought by Gilead because of its wonderful sofosbuvir molecule (Sovaldi consists of 400 mg sofosbuvir pills). Pharmasset has done the majority of work, and in their SEC filing in 2011 they projected that when the sofosbuvir-based drug will be finished and launched, 'a U.S. base rate of $36,000 per course of treatment' will be applicable. So how did we come to $80,000 price tag for Sovaldi? If there was a single identifiable moment when Hepatitis C patients should scream at the tops of their lungs, it was the 2011 purchase of Pharmasset by one Gilead Science Inc.. Gilead paid $11.2 billion for a company with the ground-breaking Hepatitis C molecule. All they had to do, is just bring the research to conclusion, launch it and Hepatitis C patients would be well off, knowing they have an affordable medicine. Instead, Gilead Sciences made a giant correction in the price of new Hepatitis C treatment. They raised what was supposed to be $36,000 cure into $80,000 cure. Given that patients don't really have a choice, Gilead put their bets on a sole premise that patients would rather pay $80,000 than die. And it paid off in a big way. When Gilead bought Pharmasset, its shares were trading below $20 and the company's market capitalisation was less than $30 billion. Gilead was a small-to-middle-player in the biotech industry. In two years it took for Gilead to turn sofosbuvir molecule into Sovaldi medication, its shares were trading 300% higher at $80, and had a market capitalisation near $100 billion. Sovaldi has single-handedly made Gilead Sciences into a biotech giant it is today. What has Gilead actually done? Bought another company and harvested the fruits of their labor. It's just like a normal person going to the store, buying a dishwasher and selling the washed dishes for $1,000 a plate. Gilead just brought it home in a big way. The key active ingredient that goes into Sovaldi and Harvoni is sofosbuvir; this is why Pharmasset was bought for $11.2 billion. In hindsight, combined Sovaldi and Harvoni sales will probably peak over $20 billion in sales - if Gilead has done something right, it was its purchase of Pharmasset. Sofosbuvir enables Hepatitis C treatments to be even more than 95% successful in curing Hepatitis C. However, despite the miracle effect, the molecule is not something all that new. 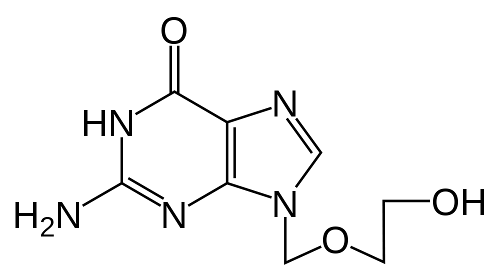 If a medical chemist would compare sofosbuvir with acyclovir, standard antiviral, he would see some difference but practically the same bone structure of the molecule. Sofosbuvir is just a bit tweaked, that's all. In the developed world, this tweaking means innovation. However, India did not find the Gilead's new sofosbuvir molecule all that different from other similar antiviral active ingredients. They stated that Gilead failed to showcase a significant innovation and this is why India did not grant patent rights to Gilead for their Hepatitis C drugs. Gilead had to struck a deal with Indian pharmaceutical companies to generate its Hepatitis C drugs and sell it for about $1,000. One has to ask - if they can sell Sovaldi for $1,000 and still turn a sizable profit, why are they selling Sovaldi for more than $80,000 in the US? How much profit are they making by selling drugs to people who would die without them?